The La Quinta Inn & Suites Decatur has been awarded the 2015 TripAdvisor Certificate of Excellence award. Until recently, Decatur has been one of the best-kept secrets in north central Texas. As with any secret, however, the word is getting out, including the news of La Quinta Inn & Suites Decatur. Less than a half hour from Ft. Worth and an hour from DFW International Airport, Decatur offers convenient access to Dallas and Ft. Worth. 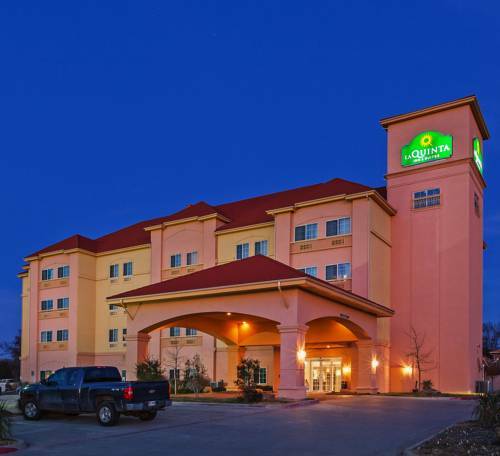 The La Quinta Inn & Suites Decatur features free wired and wireless high-speed Internet, a fitness center, business center with free printing, meeting facilities and a seasonal outdoor pool, so you can pump it up, seal the deal and relax all under one roof! All of our comfortable rooms come with standard amenities such as plush pillow-top mattresses, microwaves, refrigerators, 32" flat-screen TVs with premium and popular cable channels and video on demand services featuring in-theatre movies at reasonable prices, coffee maker, hair dryer, massage shower heads, and so much more. Then wake up to a Free Bright Side BreakfastTM near our lobby each morning.